At first glance, an open-plan office appears to be the perfect environment. At least that’s what magazines and major publications tell us. We’re inundated with images of stunning, modern, open office plans and idolize the immense, creative environment where employees actually engage in conversation and are (believe it or not) smiling at work. We’re drawn in by the abundance of natural light flooding in through the vast windows and the extensive amount of brand representation throughout the entire office demonstrating that the company and its employees are proud to be part of such an appreciable corporation. But, that’s only the side that we’re exposed to. Until, of course, we’re transferred into one of these “magnificent” floor plans. These collaborative working conditions might not be as pleasurable as the pictures make them seem. 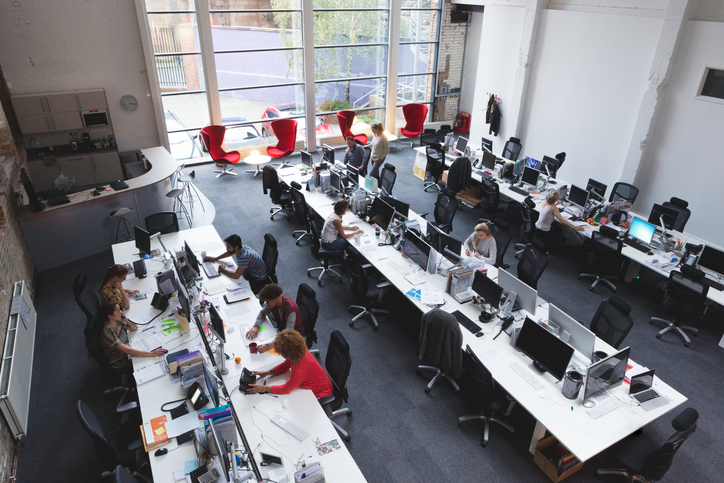 What is an Open-Plan Office and Why Is it So Popular? An open-plan office is a collaborative office space where individual workstations are not separated by walls, cubicle panels, room dividers or privacy panels. In most circumstances, a single long table or desk serves as workstations for multiple employees, and in plenty of situations, employees don’t have a specific workspace to call their own. The open office trend took off in the 2000’s, and now over 70% of all offices have implemented an open floor plan. The floor plan acquired its popularity because of its intention of encouraging collaboration and communication between employees. After all, teamwork provokes more efficient, higher quality work, right? But most importantly, an open office was cost-effective. Business owners were no longer obligated to invest in numerous, expensive office cubicles, office partitions, private offices or the costly furniture required to outfit each workspace. CEO’s weren’t necessarily creating these new spaces for their employees’ well-being. The space was designed to benefit the business owners who were investing in the office solutions—who, ironically, are not required to work in this hectic environment. The hectic environment, however, is only one of the many disadvantages of this popular office design. Open offices are bad for us for countless reasons, yet the multitude of disadvantages has not ceased this trending office layout from flourishing. These “community” office spaces are not only loud, but also visually distracting. For some, it can be difficult to focus on the tasks at hand when employees are continuously coming and going. Sometimes, you can’t help yourself but glance over at the surrounding computer screens or attempt to identify the snack bowl accompanying your coworker a few seats over. A distracting environment negatively effects both employees and the company as a whole by decreasing the productivity, focus and efficiency of employees. In fact, sound and visual distractions make employees 15% less productive. In addition to the huge toll on productivity, psychologist Nick Perham found that noise also impairs your ability to retain information. A crowded and busy environment can be extremely uncomfortable. This congested atmosphere puts a toll on efficiency, focus, and overall employee well-being, happiness and retention. Employees suffer a lack of control over their environment. For example, employees have been stripped of their power over factors, such as size of their space or personal space, noise levels, sound and visual privacy, temperature, and lighting. They don’t even have a specific space to call their own, let alone any authority over it. The intended benefits resulting from an open-plan office have backfired. Instead of promoting communication and collaboration between employees, they are turning to their noise-cancelling headphones in a desperate attempt to fabricate their own version of “privacy screens” as opposed to engaging in conversation. The attempt to multitask with both music or small-talk and work is resulting in lower quality work. Open-plan offices can negatively affect every aspect of a company, not just its employees (which are arguably the basis of a company’s success or failure). The close-quarters and lack of separation between employees is unhealthy. A study conducted in Denmark by Jan Pejtersen consisting of over twenty-four hundred employees, found that employees who work in an open office environment took 62% more sick days than employees who work in private offices. The open office trap also negatively impacts stress levels, anxiety, attention spans, creative thinking, memory, and employee well-being. A transparent open office makes each workstation and employee distinctly visible, communicating a lack of trust from managers and CEO’s to their employees. There is nothing more distracting than the feeling of being watched, as if you’re a fish in a huge aquarium. So, what’s next? Clearly an open-plan layout doesn’t benefit a company or anyone employed there. But, no one would rather be caged in an office cubicle either. What’s the solution? As it turns out, the future of the open-plan office is not exactly an open layout at all, but a flexible office design. So, the open office plan isn’t necessarily dead; it’s undergoing changes. Of course, this doesn’t mean that companies are eliminating their collaborative, open environment altogether. They’re simply adding to it. There’s no “one-size-fits-all” working environment, as best stated by Craig Loeber, founding partner of WheelHouse Coworking. Factors such as employee personality, job tasks or requirements, and daily mood dictate the ideal work environment for each particular employee. You will never be able of pleasing every employee while only offering a single work environment (i.e. open-plan office or strictly office cubicles). A flexible office space supplies a multitude of workspaces, such as private work spaces, collaborative, group areas, huddle rooms, breakout spaces, etc. Employers are no longer making all the decisions. Instead, employees choose their work environment as they are granted back control over their work setting. Currently, this flexible office layout is often implemented in larger, wealthier companies, such as Silicon Valley businesses, simply because they have the money and space for a variety of work environments. The open office plan began as a means of saving money on office cubicles and design, however, the layout is so destructive to employee productivity that they are actually resulting in a net loss. So, are more companies introducing the open-plan office because of its “benefits” and objectives or simply just its trendiness? Soon enough, we’ll see a drastic shift from the unproductive, inefficient open floor plan to the versatile, adaptable flexible office space. Things are looking up for the future of office design as the flexible layout overpowers the open office fad. 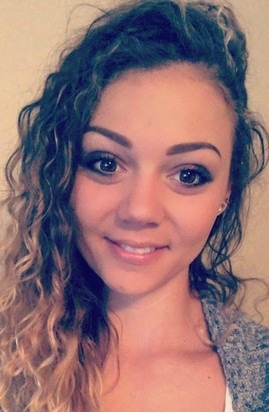 Taylor Landis is the lead content marketing specialist and cubicle expert with Skutchi Designs, one of the leaders in cubicle designs. She writes on everything from office interior design to architectural trends and small business topics. Is Your Office Hurting Employee Productivity?